www.BetOnline.com has the distinction of being the fastest growing USA poker room, partly from its generous incentives, and partly from the softness of the games on offer. The site sponsors some high caliber poker players and is currently the hottest destination for Americans in the post “Black Friday” era. Online Texas Hold’em is certainly going through a lot of flux right now. RealMoneyPoker.org believes that the USA poker market is in a much needed transition phase. The Black Friday event and the media frenzy that ensued were stepping stones towards a regulated poker environment. And legalization may just be around the corner. On October 25th 2011, a congressional hearing took place at the House Subcommittee on Commerce, Manufacturing and Trade. Rep. Joe Barton from Texas is pushing for the introduction of a new bill that would pave the way towards legal gaming. And the response from the subcommittee was surprisingly favorable, provided that consumer protection would be implemented and the accountability of operators / players clearly understood. Players are enthused because they are witnessing the crafting a bill that would legalize the US poker ecosystem from end to end. The recent reversal of stance on the Wire Act further crystallized this sentiment in December of 2011. Depositing has admittedly gotten tougher… so hard in fact that new players are giving up, or playing for fake money. Although it’s true that credit card poker sites accepting US Players may be a rationed commodity these days, there are still many viable alternatives for poker aficionados. It’s also not all gloom and doom if you look outside of the USA. France has already regulated online poker inside its borders (including sports and horse races), and it has been a documented success. Offshore sites have successfully been banned, and also blocked by the ISPs with help from the Arjel Gaming Governing Body. Italy is following the same suit, except that the country offers the entire gambling suite to its citizens. The Italian gaming framework is ran by AAMS.gov: “Amministrazione autonoma dei monopoli di Stato”. Germany and Spain will be next to implement their own regulations. In fact, Germany has already approved intra-regional regulation in the State of Chleswig-Holstein. So why can’t the United Sates offer Legal Real Money Poker ? All current attempts at intra-state regulation have failed in the USA, except in Washington DC and Nevada. With the recent reversal on the Wire Act, intra-state poker should now be fully legal. And if you look at the current deficit and downgrading of the US banks’ credit rating, there has never been a better time to inject some money back into the economy. folks playing real money poker. Unfortunately, until such a law passes, the gambling money will continue to leak outside of the USA. The trickle is inevitable as US friendly sites operate offshore to get around the UIGEA law (implemented in 2006). And until regulation passes, an increasing number of sites will cease to accept USA players. The reasons are numerous and complex. American players are expensive. Truth be told, they may not even be profitable for certain operators, considering the additional investment in payment processing. United States players also represent a significant legal risk. Although it is now clearer that Texas Holdem for Real Money is a game of skill and wasn’t targeted by the Wire Act (which outlawed sports betting), the actions of the current Administration seem to indicate otherwise. 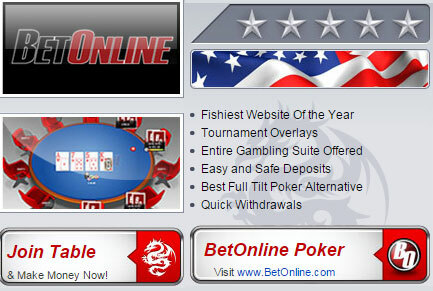 Sites like PokerStars and FullTiltPoker have been accused of being “illegal businesses”. Additionally, Full Tilt Poker is seen as being a “Global Ponzi Scheme” by a prominent U.S. Attorney. Our advice during this market inflection point is to simply ride the wave, and hope for better things to come. 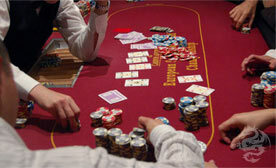 If you are a professional poker player, the better solution might be to expatriate to another country such as Canada. Recreational poker players will be be glad to hear that there are quite a few alternatives to Full Tilt Poker and PokerStars, albeit with smaller playing fields. Is it harder to deposit real cash at these surrogate sites ? Yes, it is. But it’s worth it if you ask us.